The poor little lamp on my sewing table has been making do for far too long. Husband brought it home from his old job because his boss was going to throw it away because it wasn’t her style anymore. I temporarily plunked a too small lampshade I had on the lamp and put it on my sewing machine table. After 8 years of temporary, it is time to put a proper lampshade on my lamp. 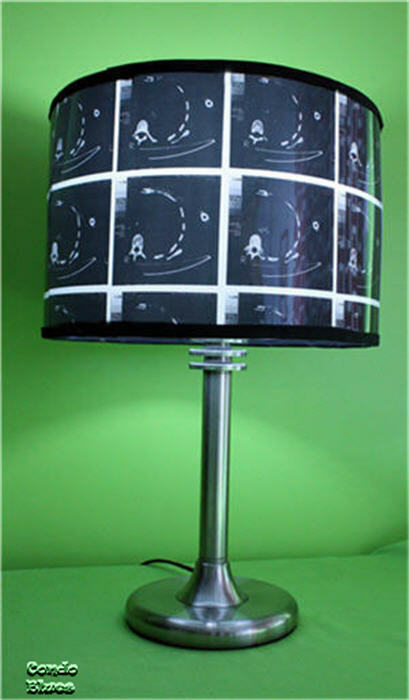 It is a recycled lamp so it makes sense to top it off with a recycled x-ray lampshade. I'll show you to make it. It is easy! Do a dry fit. 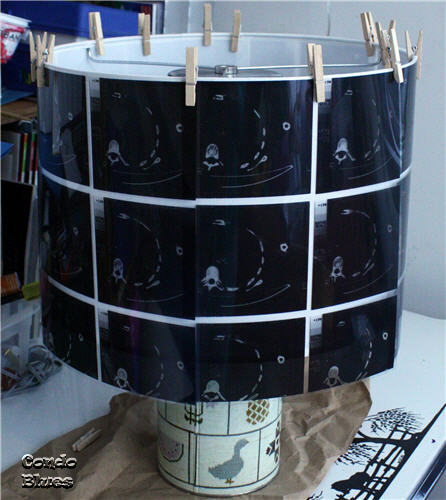 Clip the transparencies to the lampshade with the clothespins to determine the spacing and amount of xrays you need to cover your lampshade. I had to play with the spacing and trim the width of the xrays to make it fit. 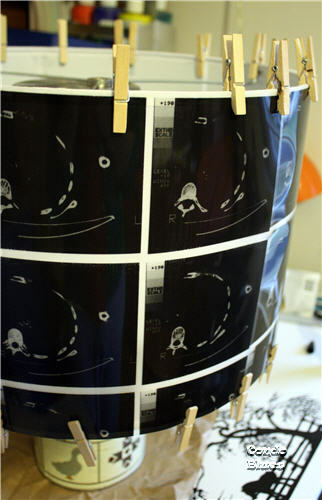 Tip: I put my lampshade on top of two canisters to make it easier to spin the shade and work on the placement of my xrays (which I think are actually an MRI) without bending the film. I tried a wine bottle but the shade kept falling off the small top when I spun the shade around. 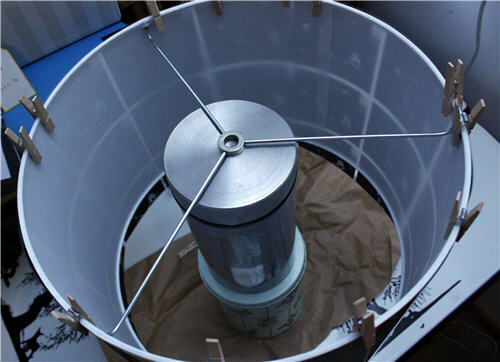 Measure the width of the drum shade and the X rays with the ruler. Mark a cut line with the pencil if needed. My lampshade is 9 inches long. My transparencies are 11 inches long. I made a mark on the x ray to cut three inches off the bottom of each x-ray. Use the paper trimmer or scissors to cut the X rays to size. Regular scissors will work too. 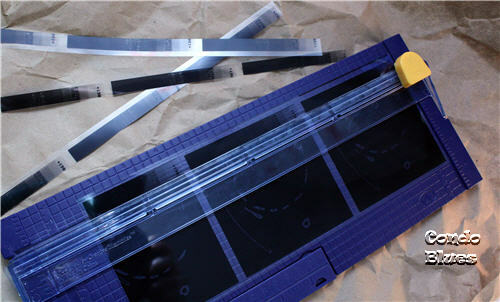 I used the paper trimmer because I am lousy at cutting a straight line with scissors. Tip: After I cut each X ray to size, I pinned it back in place on the lampshade to make sure I had the correct spacing I determined in Step 1. 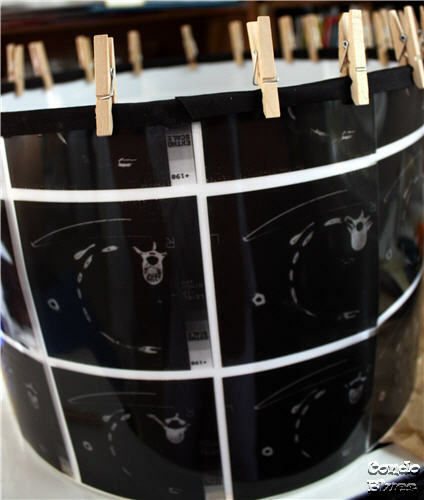 Glue each X ray to the lampshade by running a thin bead of clear glue at the top and bottom of the lampshade and clip it to the lampshade with the clothespins until the glue dries. 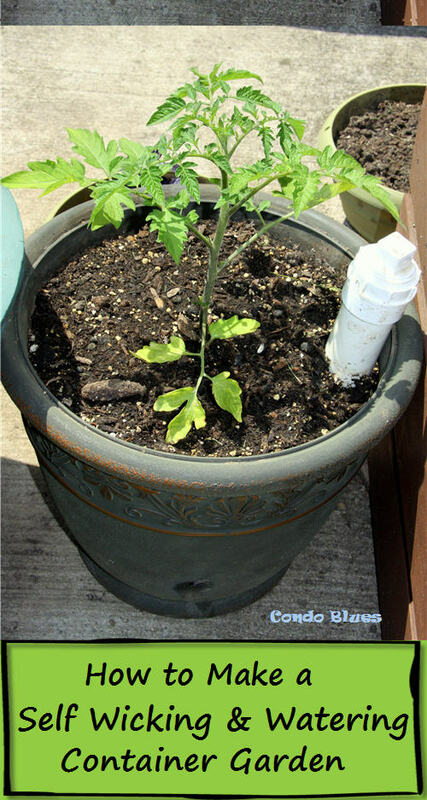 I used Liquid Fusion glue because it works on multiple surfaces and is non-toxic. It's like watching glue dry, isn't it? Tip: I glued and clipped one X ray to the lampshade at a time to make sure I had the correct spacing I determined in Step 1. While the glue is drying, iron the bias tape if needed with the ironing board and iron if needed. I bought bias tape in a package so I had to iron mine. DIY and sewing time is the only time I tolerate ironing. When the glue is dry, remove the clothespins. Measure the circumference of the lampshade with the measuring tape and cut two pieces of bias tape using that measurement with the scissors. Glue the bias tape to the top and bottom of the lampshade using the clothespins to keep the bias tape in place until the glue dries. 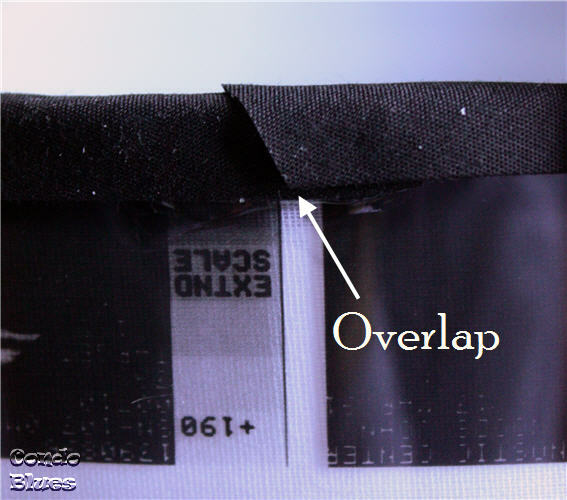 Tip: Cut the bias tape at an angle and overlap the ends for a finished look. 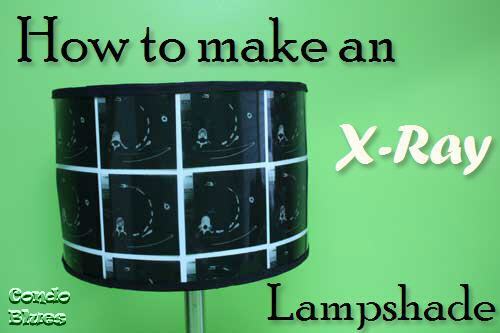 Remove the clothespins, pop your x-ray shade on a lamp, and light up your life! 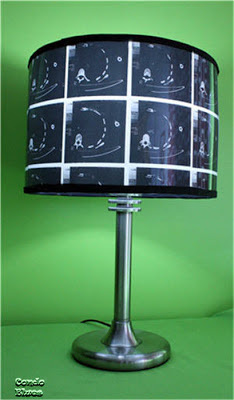 I made this lampshade for Lamps.com and their very first DIY Blogger Lampshade Challenge because I am always looking for ways to reward you for sticking with this ol’ blog of mine. 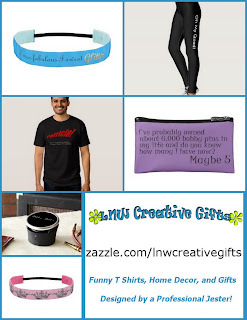 If you help me win the Blogger Lampshade Challenge, you end up winning too! 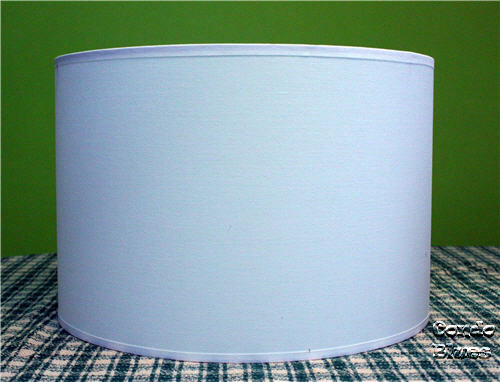 Every person who votes for his or her favorite lampshade will be entered to win a $100 gift card to Lamps.com. The winning blogger will also win a $100 gift card to Lamps.com to give away on their blog. Please CLICK HERE to vote! Voting runs January 15 to January 22, 2013. So where do you find X-rays to use? I found an envelope of xrays Husband had from before me met me. You could try to buy them from eBay. Great idea! Wish I could get my hands on a few x-rays, I'll try your ebay idea. Excellent tutorial and great pics. Pinned to my "Halloween" board. Wow! Very cool, looks great! Thanks so much for sharing at Wednesday's Adorned From Above Blog Hop. Totally AWESOME! I've never seen anything like this before. LOVE the lamp! 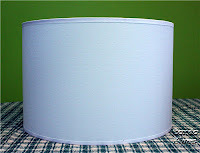 I am featuring your lampshade on my blog today. The next link party starts today in a few hours. I hope that you will link up again. Thanks. Dang it I missed the voting! And here I finally just bought a new lamp for my living room and was just thinking my boys' room needed another lamp too. ;) Rather cool project though! This is so awesome!! You wowed me again, Lisa. Pinning now!